What a come back - you are on a roll! Thanks - show us some shots of the Grey's. I only been into real photography about 1½ years and last summer I don't think I saw any heron close enough (didn't have the Q). Also I mostly see the flying, almost never standing still and my birds in flight technique is below atrocious, I really need to practice! Actually, if you saw one next to a Great Blue you might have a hard time telling which was which. The two species do seem to be universal favorites -- such elegant birds. Yeah, on pics I can barely tell them apart. They reminds me of a conductor in his finest clothing and moves so soft and gently despite being big. DA*300. Slight crop and some sharpening/contrast in PP. Wonderful! Perftect time to capture the roughness of the surface. Awesome photo, lens and photographer. You drive at wrong side of the road-> so your moon is wrong also. I actually like shooting in the cold, even though I get an allergic reaction in my hands due to the cold if I shoot anything without gloves. I got a couple of really thin leather gloves from Hungary that I use almost every time it's cold and I pretty recently got thick gloves, that my wonderful grandmother knitted for me, without the fingers I use the most when handling the camera, so I don't feel hampered despite keeping warm. One of my favorite birds to shoot, great shot, and the dynamic range is amazing. I found a nesting site for GBH's at a nearby golf course that I plan to keep an eye on but I was Q'less at the time. Got the Q yesterday. 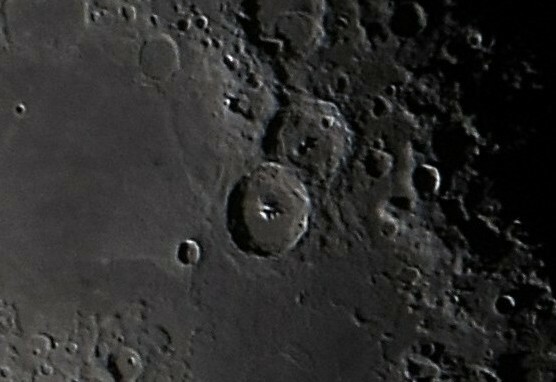 Had to try it on the moon through my scope, 560mm fl. 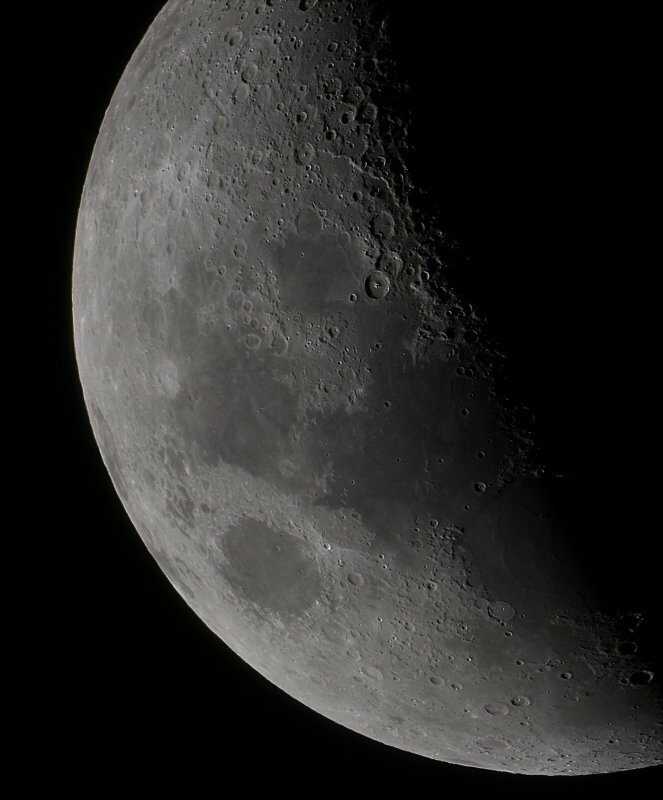 5 sharpened image stack using Registax. Welcome to the Q club! Excellent shot -- how fast is the scope? Wow! So are these multiple shots stacked? Yes. My mount was tracking when i shot these. 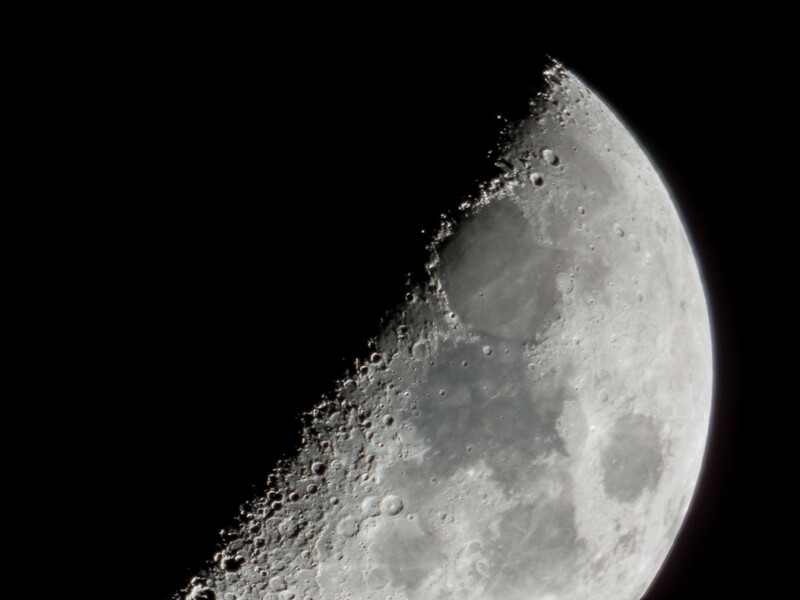 But the frames were shot at 1/200s and Registax aligns the frames, so I would think tracking isn't needed. So it sounds like you do this type of shooting regularly? How does the output from the Q compare to other methods you have tried. Also at some point when you can it would be cool to see how you hooked everything up to your scope. Thanks! Single shot with my Sigma and 1,7TC. Doesn't fit. Looks like time to switch to stitched panoramas! Holy cow! I know nothing at all about stacking and stitching; it's time I learned some new stuff. Haha, "hey, took at my stitched moon panorama!". Stacking is pretty easy, at least just simple ones, with automated programs that does all the work for you. Stitching on the other hand is way harder in my eyes as it's not just 5-50 shots of the the same thing.